Kindly indicate us the type of Accomodation you would be interested. 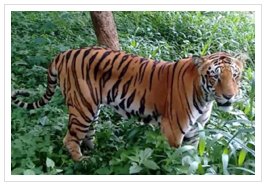 Jungle Lodges and Resorts (JLR) is a responsible wildlife & eco tourism company with a strong commitment to use tourism as a genuine tool for conserving the environment & wildlife. JLR also strives hard to educate its guests by letting them experience wildlife and fragile habitats firsthand. 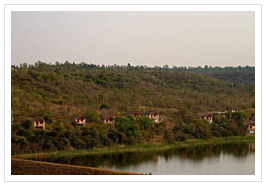 All of JLR's resorts and camps are located in some of Karnataka's ecologically sensitive yet amazing natural destinations. 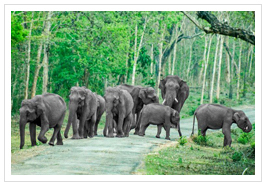 A unit of Government of Karnataka's Department Of Tourism, JLR is currently managed by Indian Forest Service Officers. 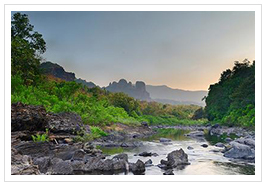 To make it easier for you to take a break from urban living, JLR provides creature comforts at all its eco-tourism destinations in Karnataka. 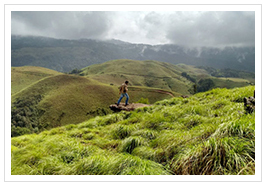 Set amidst natural landscapes of babbling brooks and beckoning hills, each resort is an oasis of peace with an enchanting atmosphere. JLR’s first-class living quarters and ethnic tented cottages are well furnished, are made of eco-friendly material and offer simple luxury & privacy. 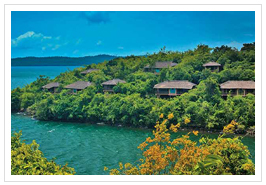 Clean and superior facilities, package deals and excellent cuisine have won Jungle Lodges & Resorts international acclaim. 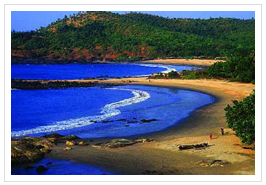 JLR has also been awarded the Best Eco-tourism Company in India, by the Prime Minister of the country in 1999. 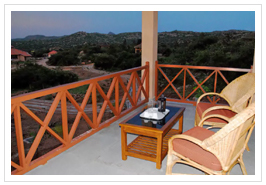 JLR offers various wildlife viewing and outdoor activities as part of its packages. 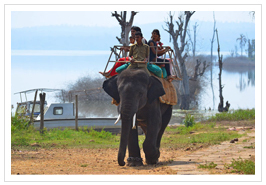 Jeep safaris into the forests, elephant rides, boat and coracle rides, guided treks, white-water rafting, kayaking, canoe tours, elephant interactions, water sports, snorkeling, para-sailing are some of the exciting options that are in store for you when you visit any of JLR's properties. 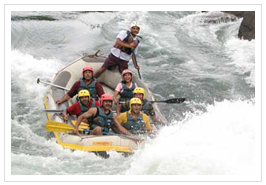 We take utmost care to ensure the safety of all our guests - all our activities are guided with safety gear and first-aid kits. Come, live the experience that goes beyond any other. 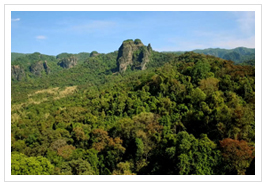 We assure you that you will return home recharged and revitalized, with greater love, respect and concern for nature, simply because you will observe how we protect and preserve our environment in small ways. Discover how you could do the same, for our planet and for the future of our children . 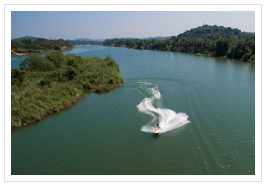 Kabini River Lodge, Karapur, H.D.Kote Taluk, Mysore District. 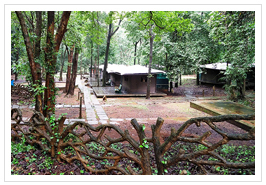 K.Gudi Wilderness Camp, B.R.Hills, Chamarajnagar. 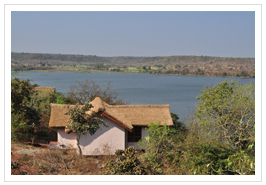 Bheemeshwar Nature & Adventure Camp, Malavalli Taluk, Mandya District. 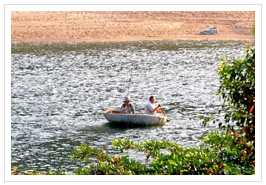 Galibore Fishing Camp, Kanakapura Taluk, Bangalore Rural District. 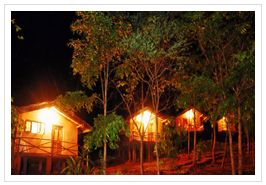 Kali River Lodge, Kogil Ban, Dandeli, Uttara Kannada District. 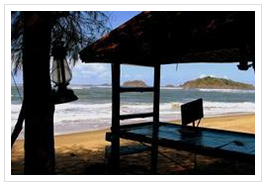 Devbagh Beach Resort, Karwar, Uttara Kannada District. 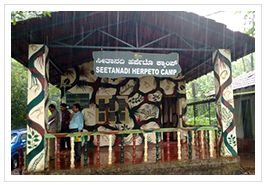 Bannerghatta Nature Camp, Bannerghatta, Bangalore. 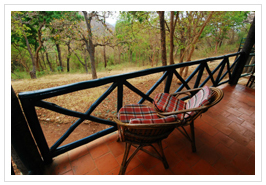 Bandipur Safari Lodge, Melkamanahalli, Bandipur. 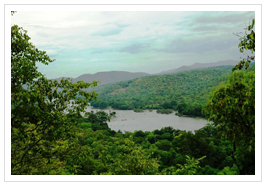 River Tern Lodge, Lakavalli, Chickmagalur District. 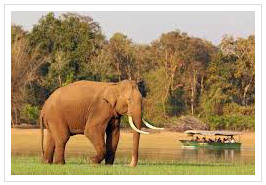 Dandeli Wildlife Sanctuary now named as Kali Tiger Reserve.